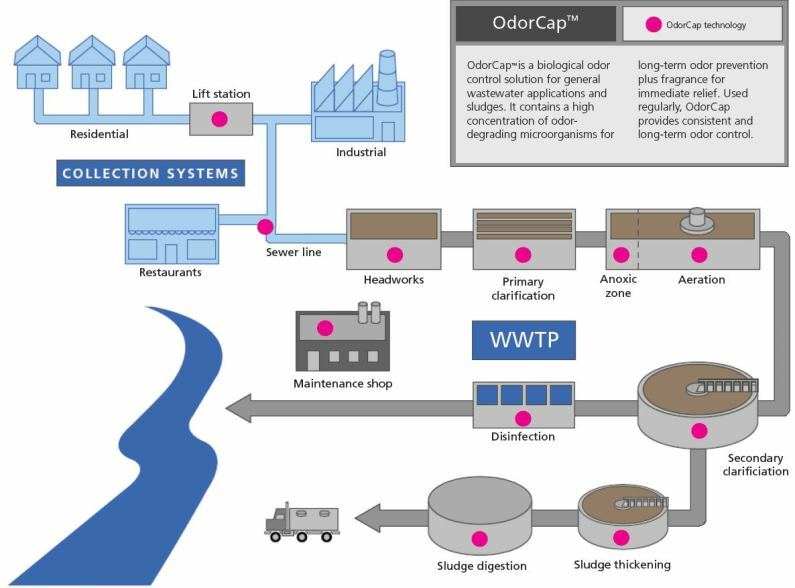 OdorCap 5700 contains patented biological odor control technology for sulfur compounds, including hydrogen sulfide and mercaptans. OdorCap 5700 also degrades a variety of volatile organic acids. It works in both aerobic and anaerobic environments where odors are formed and can immediately respond when odorous sulfur compounds or organic acids are generated.